During 2018 Aspect was hugely privileged to fundraise for Place2Be. Place2Be is the leading UK provider of school-based emotional and mental health services. Founded in 1994, Place2Be has school-based teams in 282 schools in the UK, supporting over 117,000 children. The award winning charity seeks to improve the prospects of children by tackling the complex social issues that result in educational disadvantage. The charity was selected by Aspect’s employees during a vote in early 2018. The Aspect Charity Committee, made up of employees, set an ambitious fundraising target of £25,000. With fundraising taking place over the full year, Aspect’s employees tackled a variety of activities with some of the highlights as follows. In May staff took part in a Table Tennis tournament followed a few days later by a Samosa sale. In June an employee and their family climbed Snowdon. In August a team of 10 took part in the London Triathlon. September included a team quiz as well as the opportunity to abseil the 540ft Broadgate Tower (the Shanghai skyscraper from Skyfall). 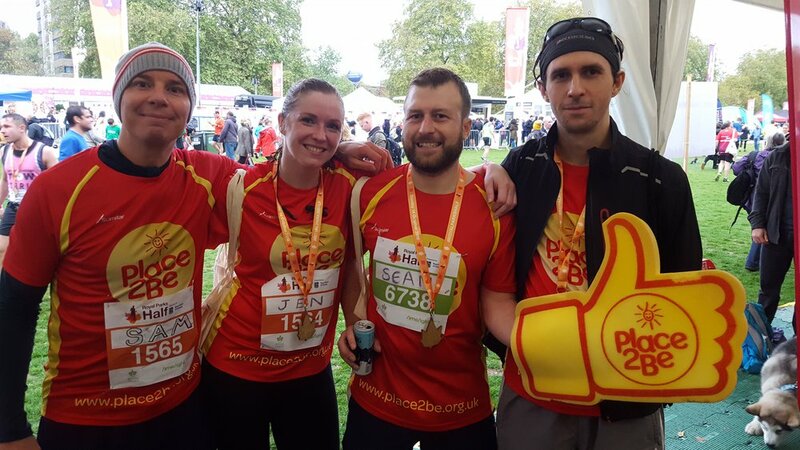 The largest event of the year took place in October with 13 employees tackling the Royal Parks Half Marathon. The fund raising continued during the winter with a ski wear day, poker night and further food sales. Aspect is delighted to confirm that employees have surpassed the fundraising target for 2018 so far raising over £32,000. This will be matched by Aspect meaning the final donation will be over £64,000. A fantastic result and great news to begin 2019. Well done to all involved and happy new year!